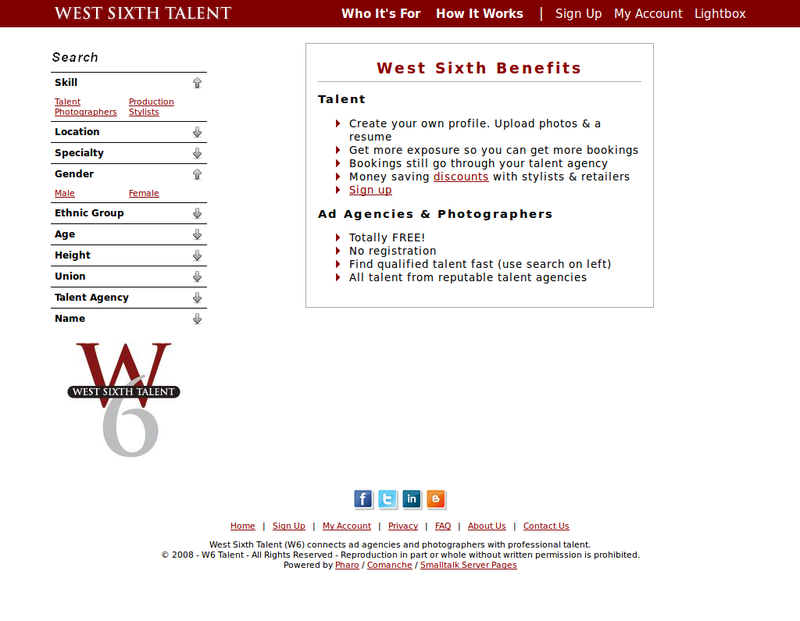 W6 Talent was a commercial service that helped ad agencies to find and book professional modeling talent represented by an agency. 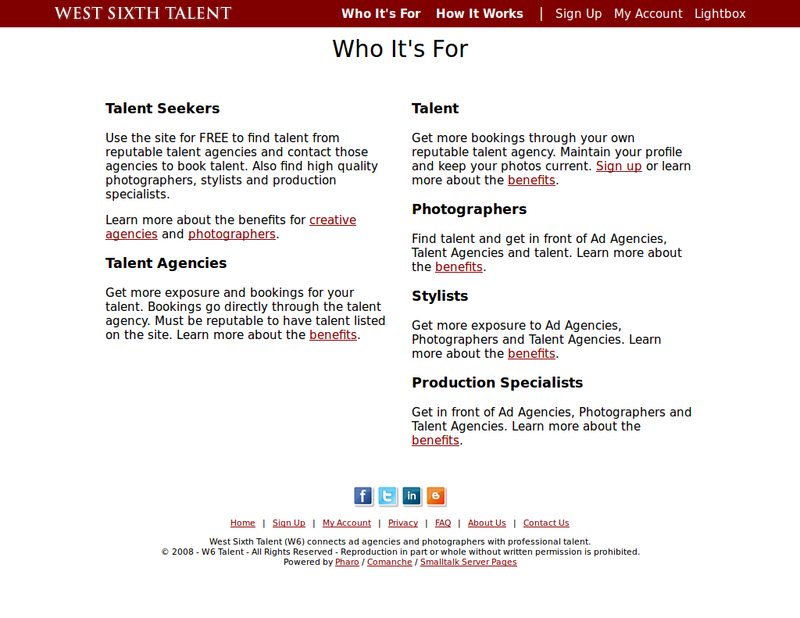 The business ran for 5 years and connected ad agencies with most of the top talent agencies in Cleveland, Ohio. 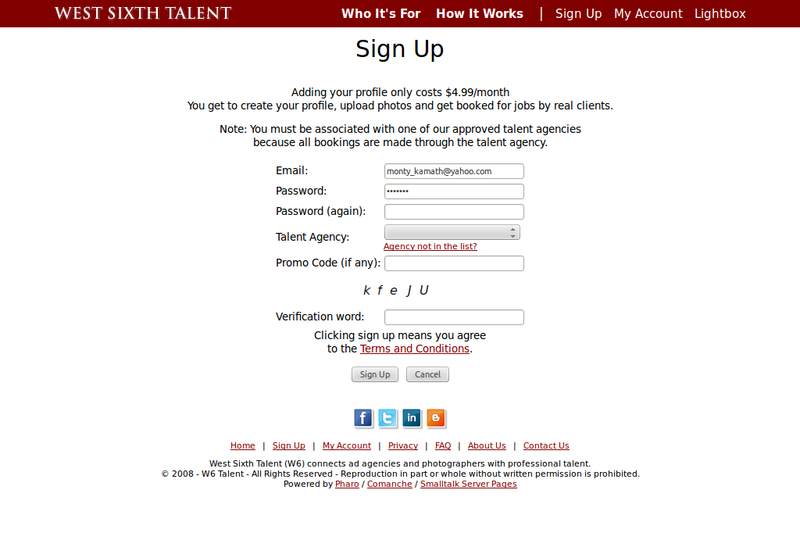 We generated revenue from monthly fees paid by talent but failed to adequately monetize the service. We shut the business shut down in 2012.